MONDAY, April 10, 2017 (HealthDay News) -- American children without dental insurance are far less likely to receive necessary care for their teeth than kids with coverage, a new survey finds. Toothaches and other dental problems that interfere with eating, sleeping or school performance are twice as common for kids without dental coverage, researchers found. 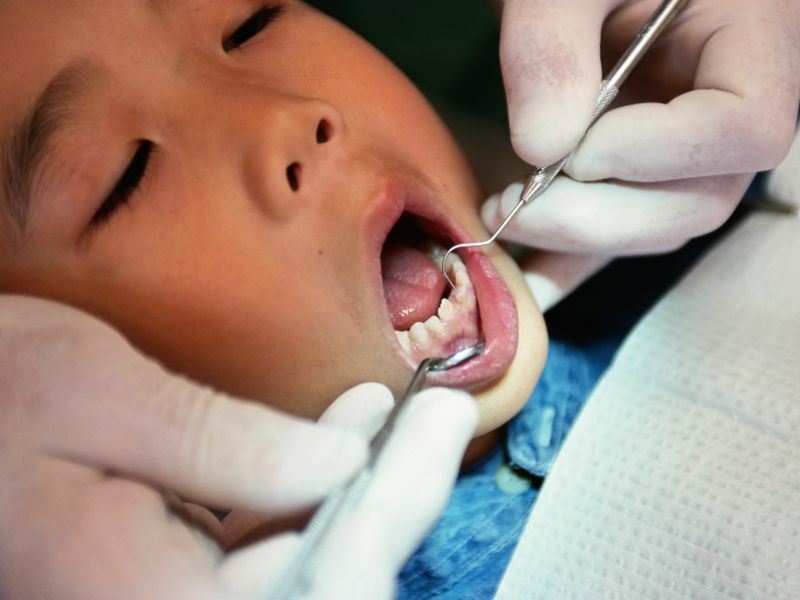 The findings were released as Republican lawmakers discuss major changes to Medicaid and other programs that provide dental insurance to many families and children. "This survey speaks loud and clear -- coverage counts," said Meg Booth, executive director for the Children's Dental Health Project. The Washington, D.C.-based nonprofit conducted the survey. The nationwide poll included more than 600 parents of children up to age 21. Overall, 13 percent of parents said that in the past year their children needed dental care but weren't able to receive it. The rate was nearly three times higher among uninsured children (26 percent) than among those with insurance (9 percent). Cost was cited by more than half of parents as the reason why their children did not receive needed dental care. Low-income and minority parents were more likely to say their children did not receive needed dental care. Rates were 28 percent for those with annual incomes below $30,000, and 34 percent for Hispanics. The survey was conducted in early March. It also found that Hispanic, Asian and black parents were far more likely than white parents to say their children visited an emergency room for a dental problem in the past year. "When children are covered by Medicaid, CHIP [Children's Health Insurance Program] or private insurance, they are more likely to have regular dental visits. And they are far less likely to have serious oral health problems that can cause pain and disrupt their lives," Booth said in a news release from the group.